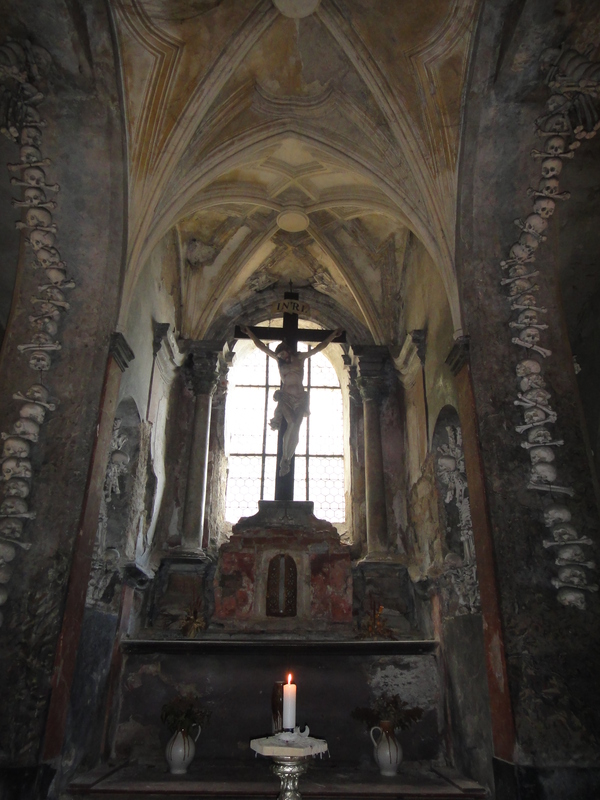 Sedlec Ossuary: Where Dead People Chill… Artfully. 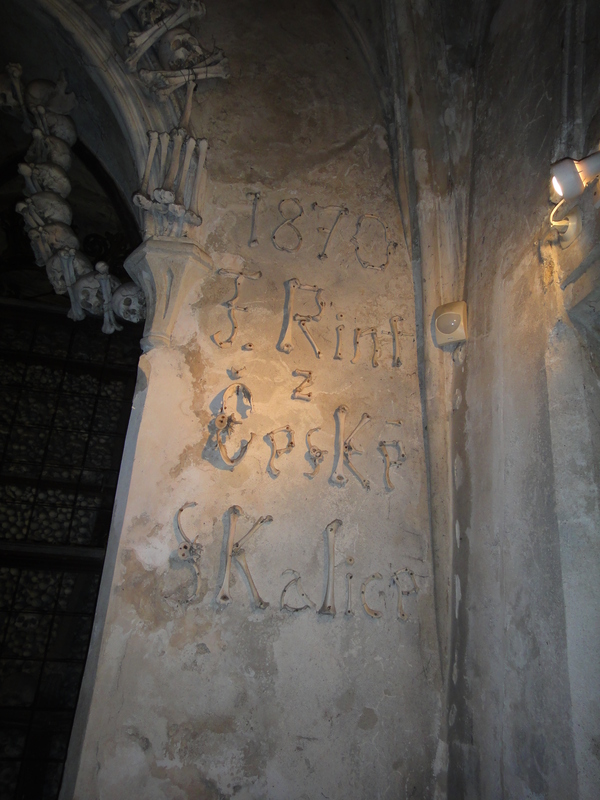 The Czech Republic, home to one of my favorite haunted cities, Prague, is also home to another great place: Sedlec Ossuary. 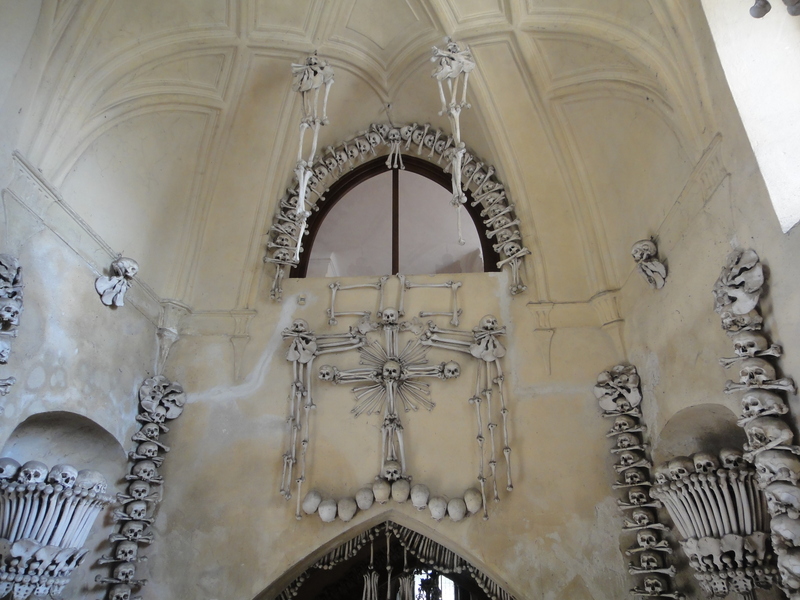 Also known as the Church of Bones, the ossuary in the beginning was just a plain ol’ church in Kutna Hora, about one hour outside of Prague. 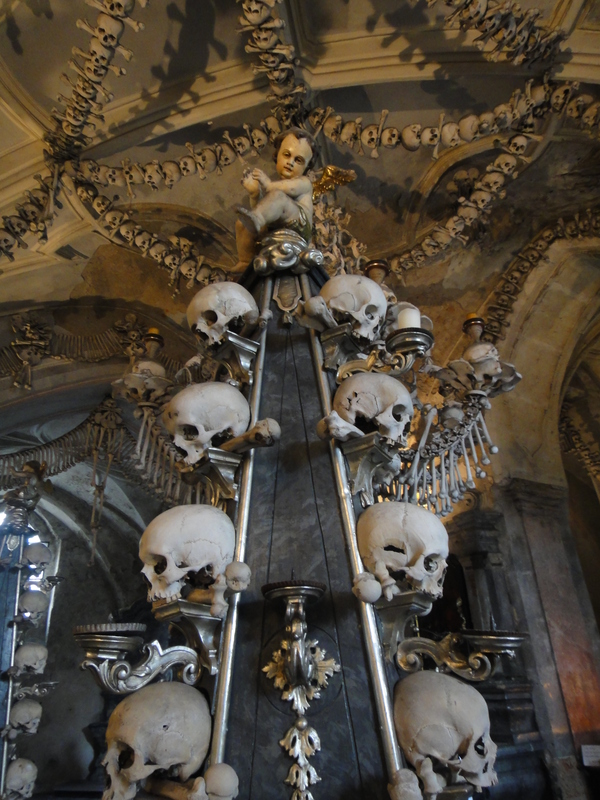 In 1278, the King of Bohemia sent the abbot of the Sedlec Monastery to the Holy Land, and when the dude returned, he brought the gift that kept giving: soil. 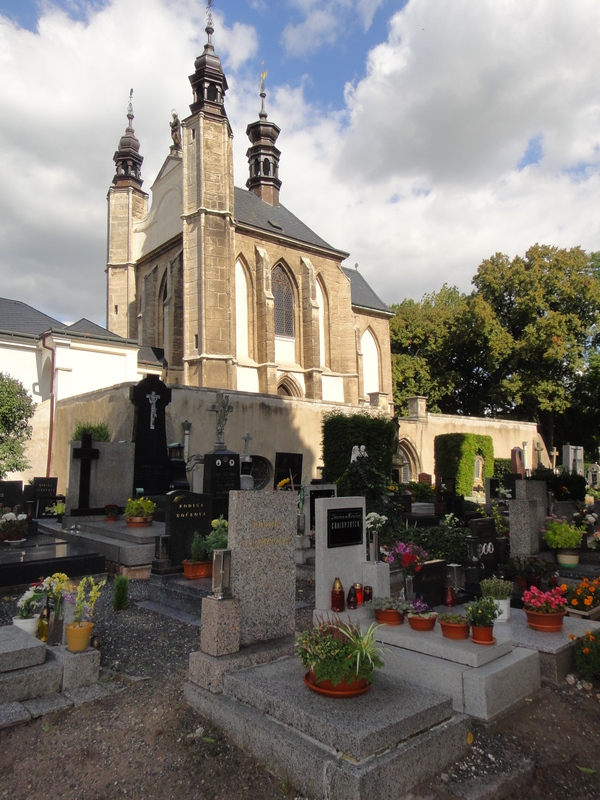 He sprinkled the holy soil on the land surrounding the chapel which made such land prime real estate for the soon-to-be or already-dead people. 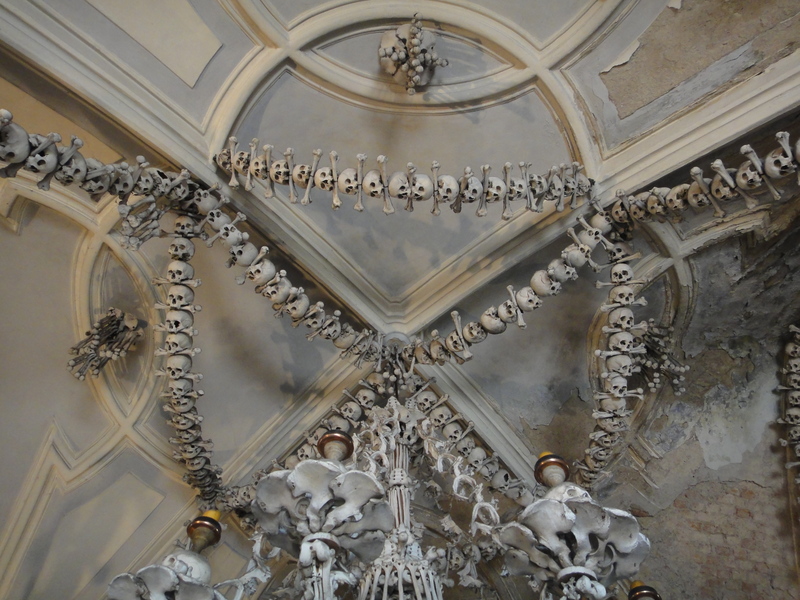 Soon after, the bubonic plague spread and knocked-off a solid chunk of the population. 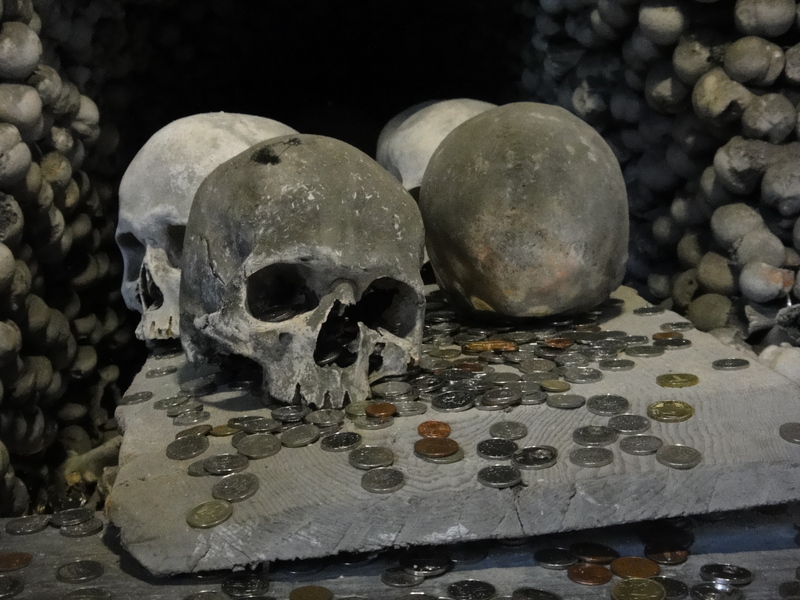 Business was booming at the cemetery…. 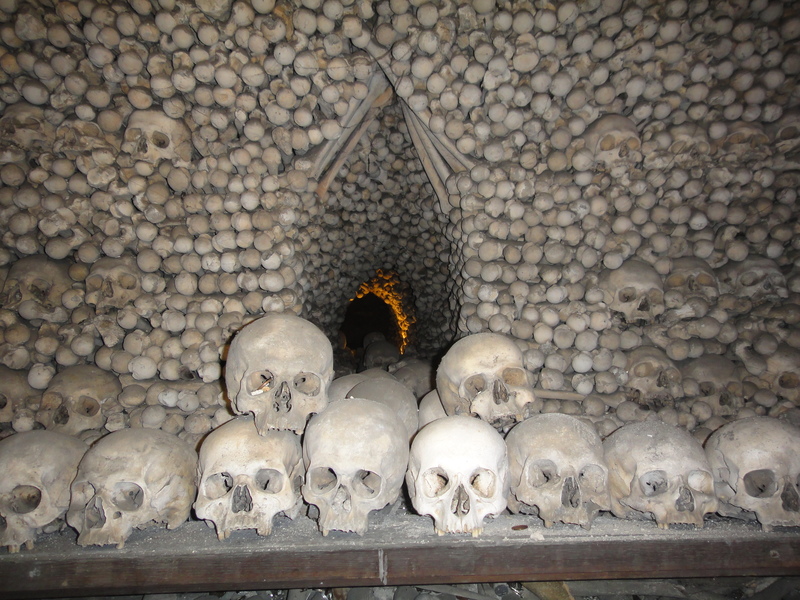 so much that there was no room left for those who have moved on to greener pastures, so old bodies were exhumed and the bones were stored inside the chapel. 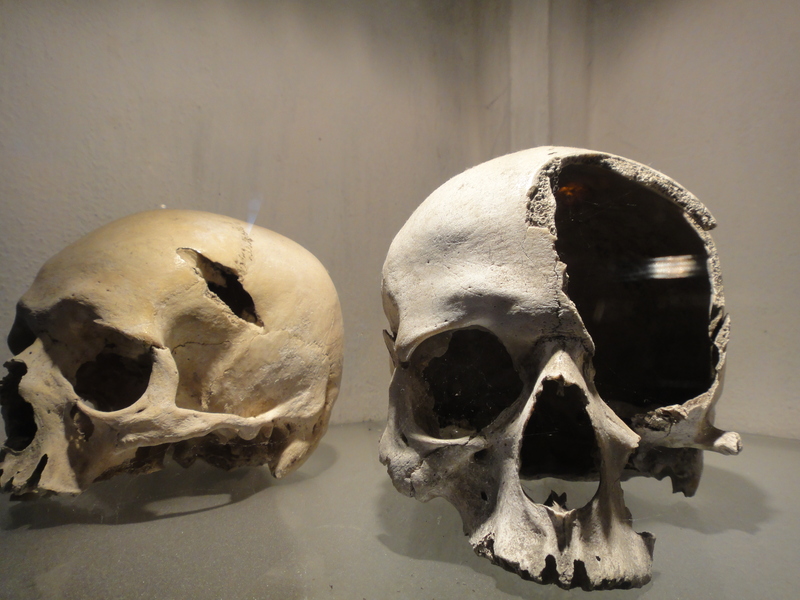 Now, there are different stories of what happened. 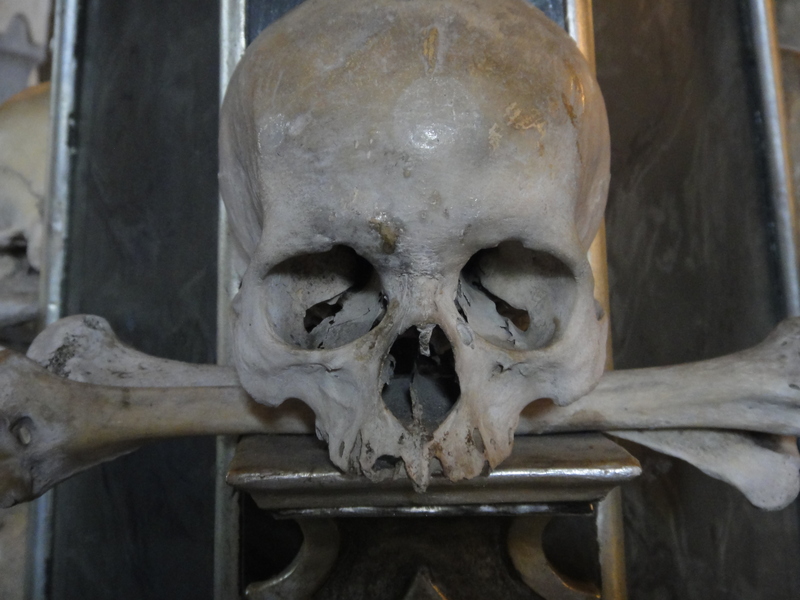 Some say that there was a partially blind monk that began stacking the bones in different shapes; others say there were a group of monks that went mad and did all sorts of weird things with the bones. 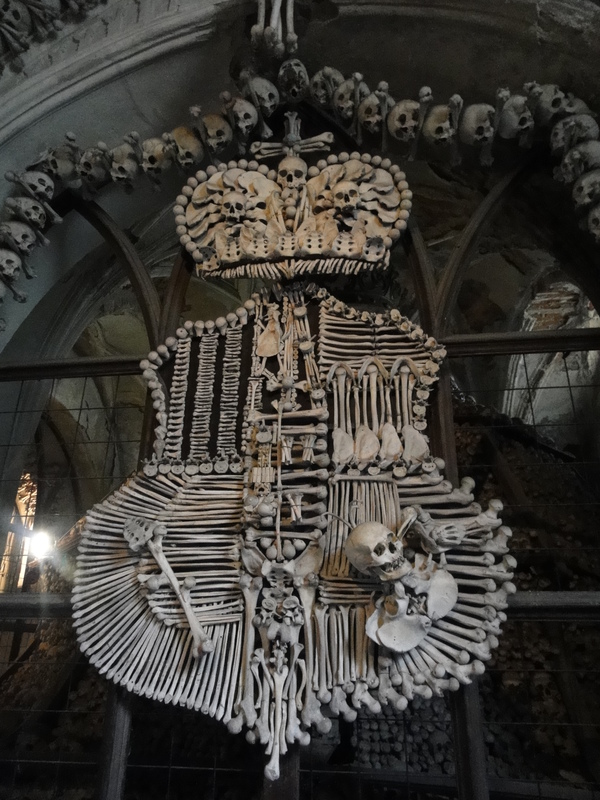 All that is certain is that the owner of the land, the Schwarzenberg Family, hired a guy named Frantisek Rint who was an artist and wood-carver, to transform the mess of bones into something unique and amazing. 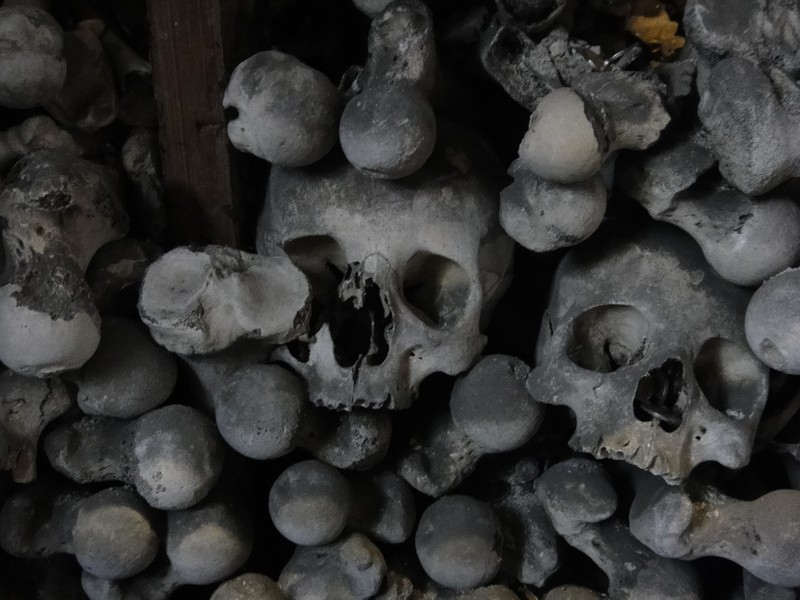 There’s about 40,000 bodies spread about through the Ossuary in artful ways. 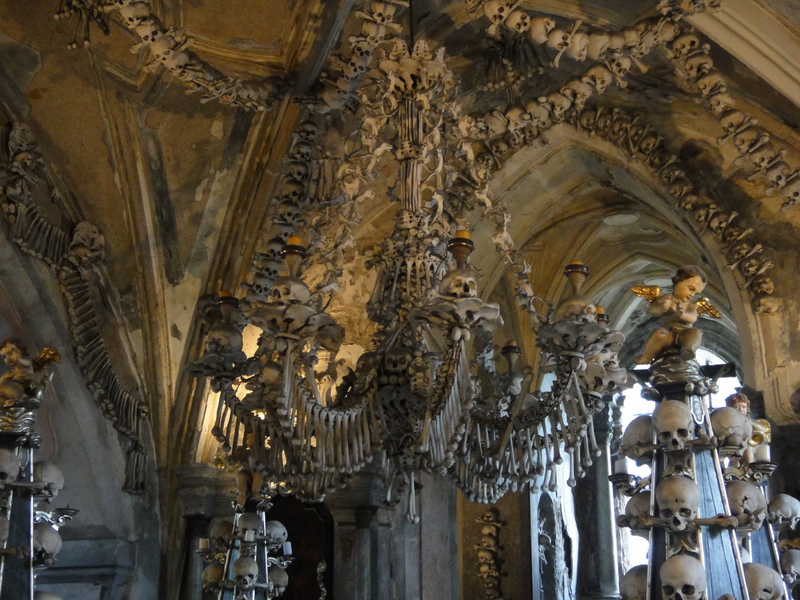 A Schwarzenberg coat of arms was built out of bones, there are display cases with skulls containing fatal wounds from medieval weapons to gaze at and my personal favorite, the chandelier made out of every single bone in a human body! 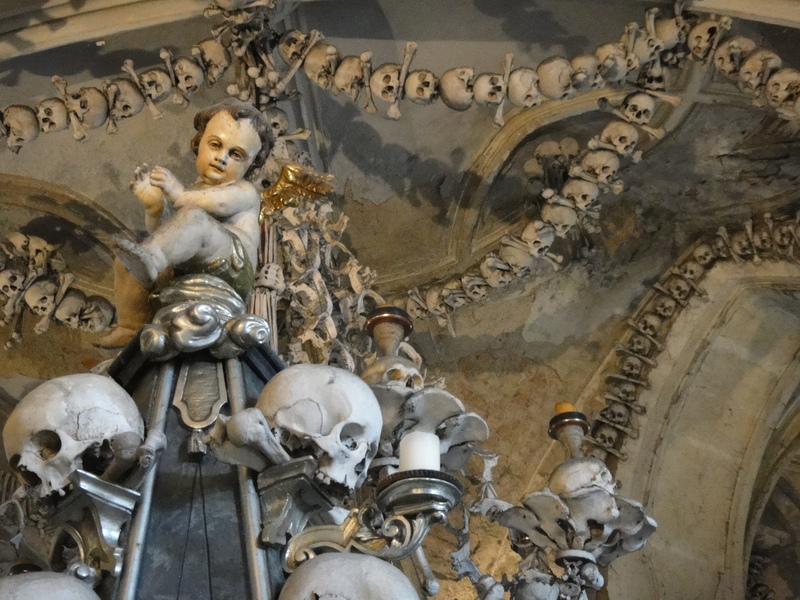 After visiting places such as the Sedlec Ossuary and Le Catacombes, one begins to realize the incredible, unescapable links between life and death; the thought that no matter what paths we take in life, we are all the same in the afterlife. 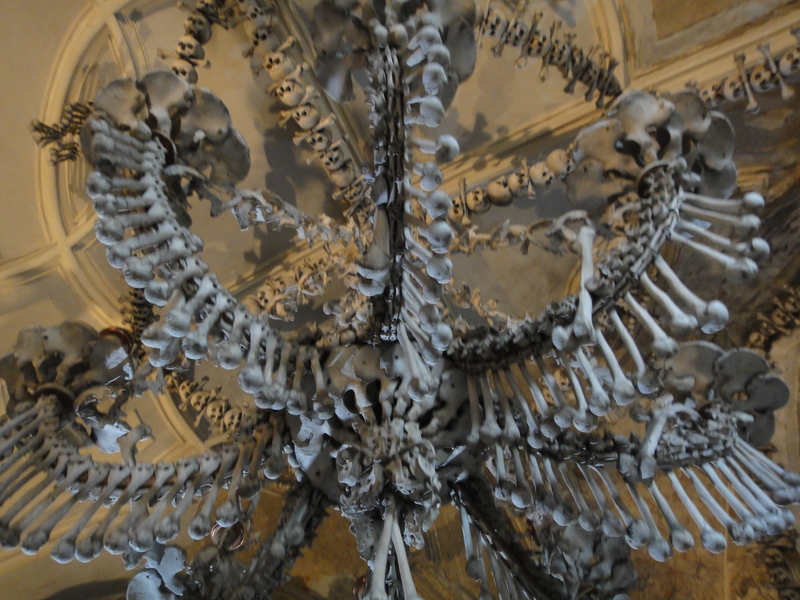 When it comes down to it, we are all just an assemblage of bones.